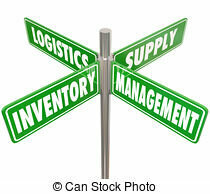 In our work with clients in the components industry, managing inventory is a critical part of their business. The precision components we manufacture - whether micro or large - are often a key piece of a more complex product. If inventory is not managed correctly, issues with production schedules and on-time deliveries can occur. At MPC we understand this need and the impact it can have on the success of a business. Using managed inventory gives you the components needed at the right time so that you are fully prepared to fulfill orders, without having the costly overstock taking up needed space. By working closely with our customers to develop customized inventory plans, we can insure they have the precision parts on hand exactly when they are needed. At MPC we offer managed inventory programs that are customized your needs. We work with you to create a program using Just-In-Time scheduling, blanket orders and safety stock programs to name a few. Our attention to detail in production of our high precision components flows through to our focus on orders, usage and shipping. We follow your orders closely, keeping up to date on your current usages, using our attention to detail and love of proactive planning to seek out and resolve potential issues before they happen. When situations arise that require a sudden adjustment to your managed inventory, such as an unexpected larger order or spike in usage, MPC can respond with either safety stock or expedited new production. In situations like these, our attention to detail, quality and on time delivery and service make these unexpected needs easy to manage.